If It's Too Loud...: Hop Along - "How Simple"
Way back in 2015 Hop Along's Painted Shut was my #2 album of the year. Now almost three years after the release of that album, we're finally getting new music from the band. "How Simple" is exactly what we want from Hop Along. It starts out as upbeat, pretty music with Frances Quinlan's voice bouncing between being pleasant and then being harsh to the point of almost being grating. There's a slightly off tune guitar swirling along in the background behind her voice that is basically what heaven should sound like. By the time you get to the gang chorus at the end, you'll be wondering how we ever survived as a species for three long years without new music from Hop Along. You can listen to "How Simple" below. 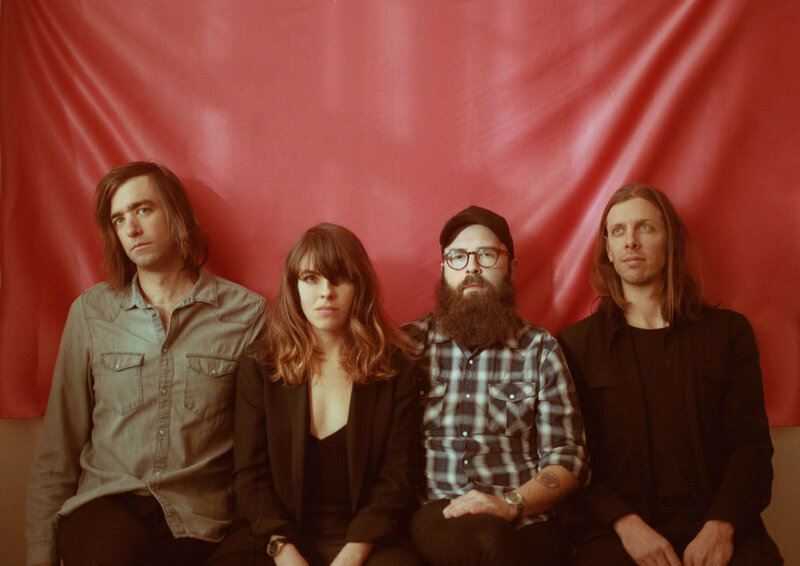 Hop Along's new album, Bark Your Head Off, Dog, will be out April 16 on Saddle Creek. You can pre-order your copy on Bandcamp. For more on Hop Along, check out their Facebook.